My husband Adrian recently went away to a conference for two days, leaving me totally alone with the Popple for the first time. I knew that I’d get less sleep while he was away. I figured things would be a bit trickier without another set of hands. 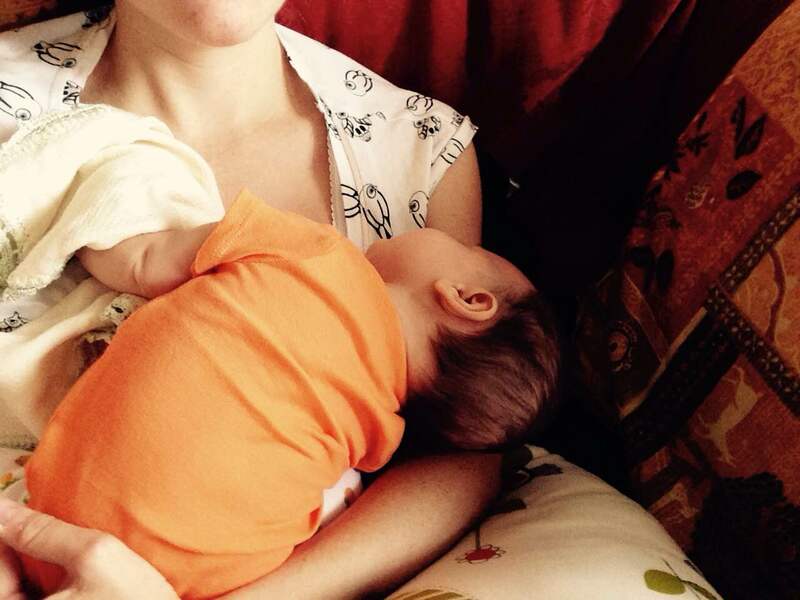 I had no idea that caring for a 5-week-old alone would be the hardest thing I’d done since giving birth. For two days, I did almost nothing except listen to the Popple scream, try to get her to stop screaming and watch 14 episodes of Pretty Little Liars (with subtitles on because, you know, screaming). Every little task became a logistical nightmare – cooking, eating, going to the bathroom, feeding the cat. If I couldn’t do something one-handed, I either did it while yelling, “I’m sorry! I’m sorry!” while the Popple screamed in her Moses basket, or I just avoid it all together. On our second night alone, it was 9pm by the time I got her to settle down in my arms and stop crying. It started to get dark, but I was so afraid to move her that I didn’t want to get up off the couch and turn on a lamp. That night pretty much summed up my solo parenting experience – me with the Popple poppling on my chest, Pretty Little Liars glowing on the TV screen, unable to work out how to turn on a light switch. You know what’s crazy? Single mothers are in this situation ALL THE TIME, and they manage to care for their babies as well as do laundry, wash dishes and shower themselves with only two hands and half a brain (no mother of a young baby is able to use her full brain). I am in awe of these women. I want to be as strong as they are, but I’m so, so glad that I don’t have to be. Thanks Shannon! I’ll be looking to your blog to see what to expect as she gets older – it doesn’t sound like parenting a toddler is any less exhausting!